Who says your outdoor furnitureOpens in a new window has to remain the same year-round? Switch up the look with accessories for each season, having fun with colors and textures. Don’t be afraid to mix solids with patterns and bring everything together with a stylish rug underfoot. 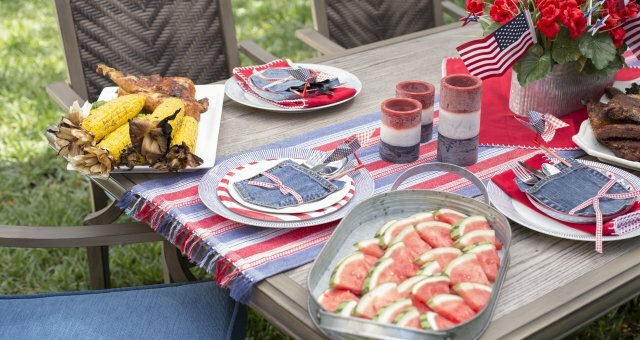 Here’s our take on how to style one patio 3 ways. When life gives you lemons (and oranges), make design. Orange and yellow lift up your outdoor oasis with summertime zest. A toned-down shade of orange is an unexpected color that complements more decor choices than you may think. On the other hand, yellow is a happy color that exudes a joyous vibe as you entertain family and friends. Plus, you can’t go wrong with colors that remind you of sunshine, right? Terrariums and silver tone trays bring a grounded feeling to the vibrant look. We just cannot get enough of the bluesOpens in a new window. Paired with black, the color blue presents an understated yet fashionable aesthetic. This is a viable option as you transition into the fall season when the days begin to cool down. 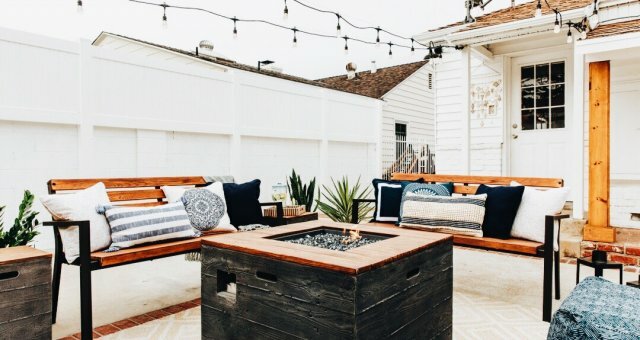 Geometric, abstract and striped patterns effortlessly give your outdoor patio the design appeal you crave. Sprinkle in some tabletop greenery and on-trend wooden accessories, and you’ve got a winning combination. The cold months are gone, and it’s time to remove the furniture covers. Nothing says spring better than a color palette of aqua and soft greens. Decorating with these hues is a wonderful way to wave goodbye to winter. Play up the theme with florals and velvety-soft outdoor pillows. You can even create a beautiful focal point on a table with aqua vases, candle holders and trays made of varying materials. 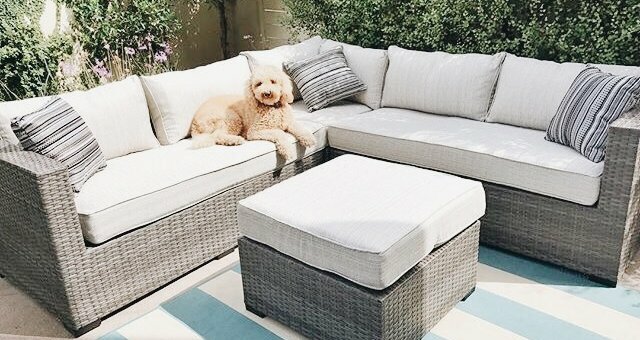 As you can see, accessoriesOpens in a new windowmake it incredibly easy to keep your outdoor furniture on trend with the seasons. 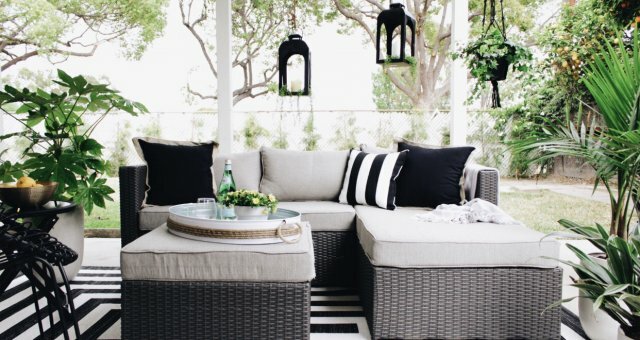 Show us how you style your patio using hashtag #myashleyhome for a chance to be featured.